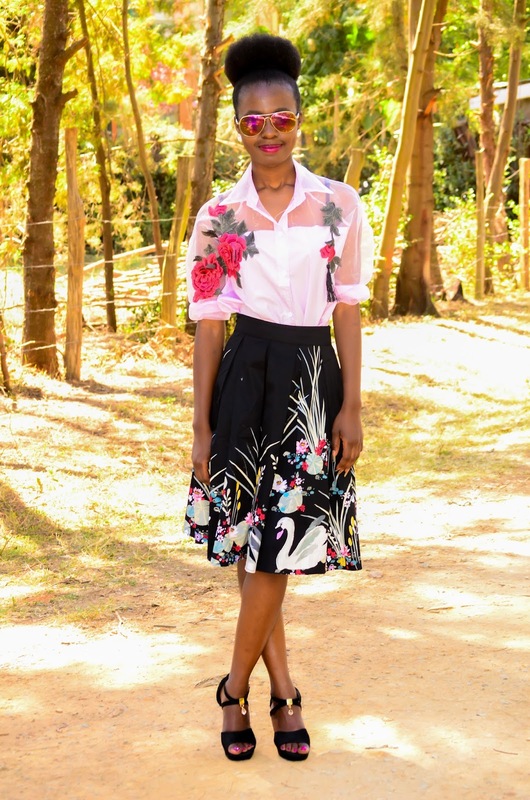 The way this knee length a-line skirt outfit idea came together just makes me so happy but before we get into the outfit details, I would love to start by mentioning the first reason why I chose to add this pink embroidered shirt to the look today. It's October and in case you are not aware yet, it's breast cancer awareness month. Unfortunately, there's more and more people being diagnosed with breast cancer and it would be great to reach out to those affected and show them support. Also, it's important to get checked first chance you get because at the end of the day, prevention is better than cure. 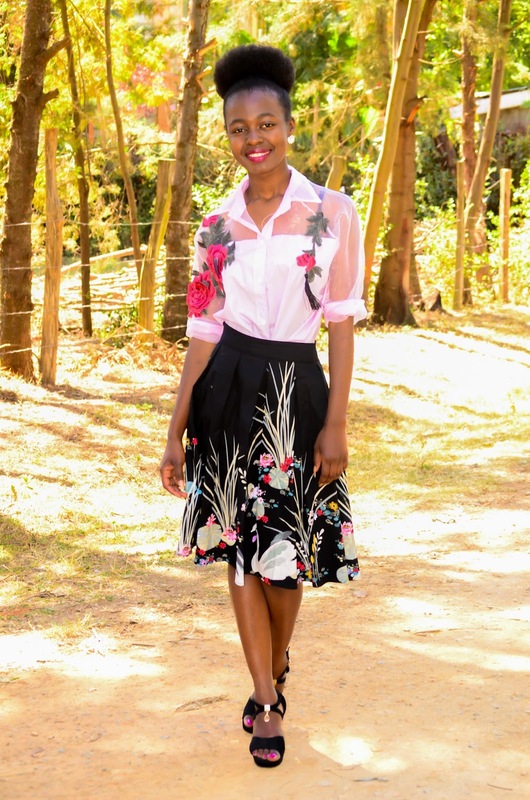 To the outfit now, I love me a good knee length skirt for the reason that it is often very decent and also comfortable because it's not too long and not too short. 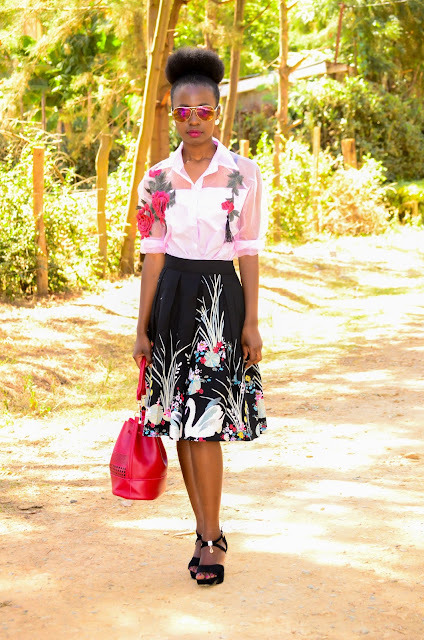 I also really love an a-line skirt because it is always so forgiving. It emphasizes on the smallest part of your body,your waist, and then just flairs out so beautifully.It's actually for this reason that I think a-line skirt outfit ideas are not so hard to come up with. So for today's look, I decided to pair my knee length a-line skirt with this beautiful embroidered shirt. 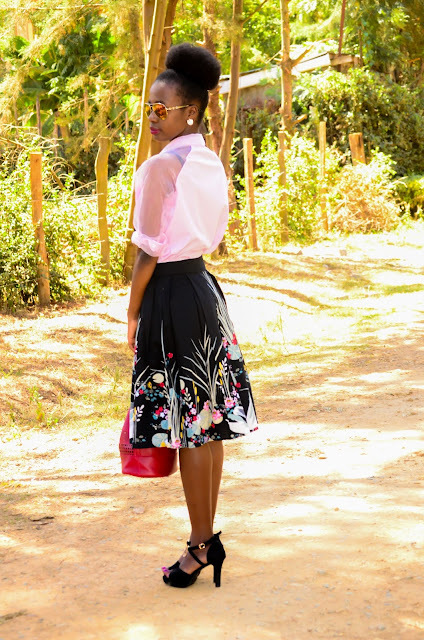 I actually got the pink embroidered shirt from one of my favorite online stores, Shein, last year and never really got to wear it up until recently. Interesting that when I was trying to come up with a nice a-line outfit idea, this shirt immediately popped into my head. So I loved this pink embroidered shirt because of the sheer sleeves but hey, if you've been reading my blog for a while, you know that I really just love embroidery. It was perfect for the beautiful sunshine that graced us on the photo shoot day. I loved the knee length a-line skirt because I knew it was going to look very flattering plus it has this great artwork all over it. The beautiful swans and branches are so well printed on it and the pleats are perfectly placed. 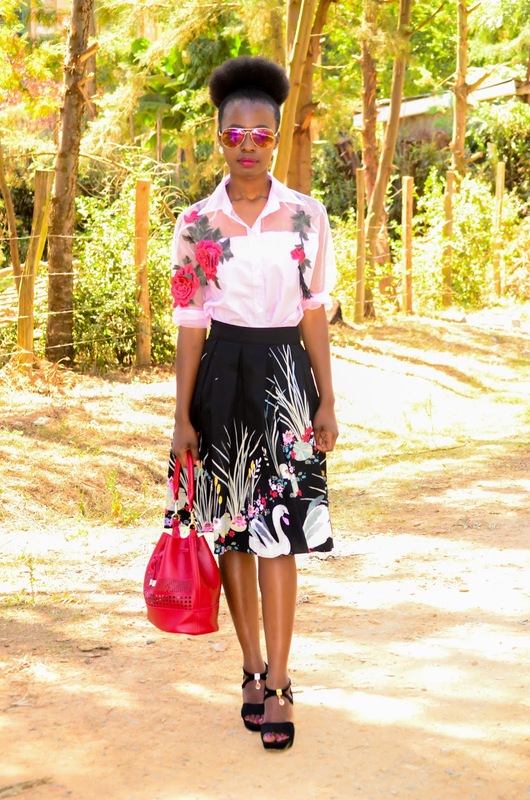 I completed this knee length a-line skirt outfit with my basket bag and pinkish sunglasses. I also chose these high heeled open shoes. Oh my :-) ,I can't get over how nicely the bag, the pink embroidered shirt and the sunglasses look together. Match made in fashion heaven. So there guys. Another simple a-line skirt outfit idea to consider sometime. Try something like this.Works for different body types.Oh and, the skirt was from Rosegal by the way . 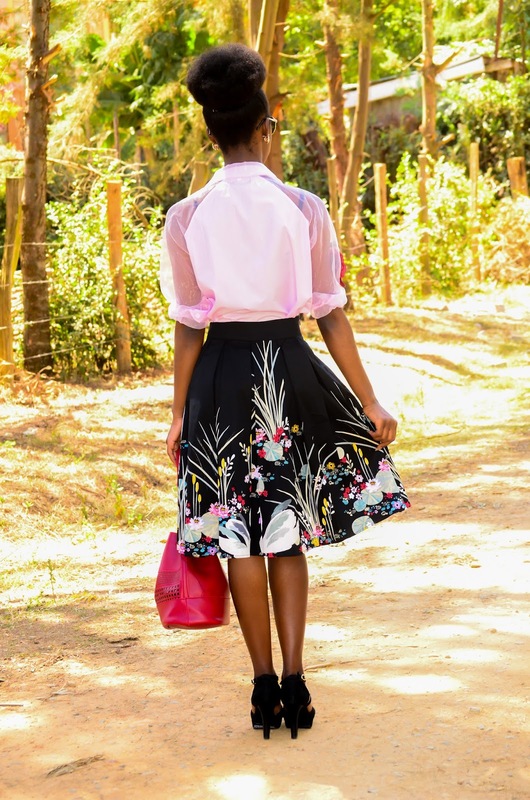 If you want a large selection of skirts, shirts,heels and handbags to choose from like mine in this post,try have a look at www.micolet.co.uk. It is actually a second-hand marketplace that has thousands of items to choose from at discounted prices.This means that you can buy your favorite brands and try something new out without having to spend a lot.Get your wardrobe ready for Autumn or any season you're in wherever you are and find a perfect outfit.Don't miss out! Thanks for stopping by and by the way, I really appreciate your reading my blogging journey post, you know, the one before this one. I just thought it would be nice to let you all know why I started my blog and what satisfaction I get from it.If you haven't yet, you might want to go through that. Thanks for stopping by today as well. Such a cute look! 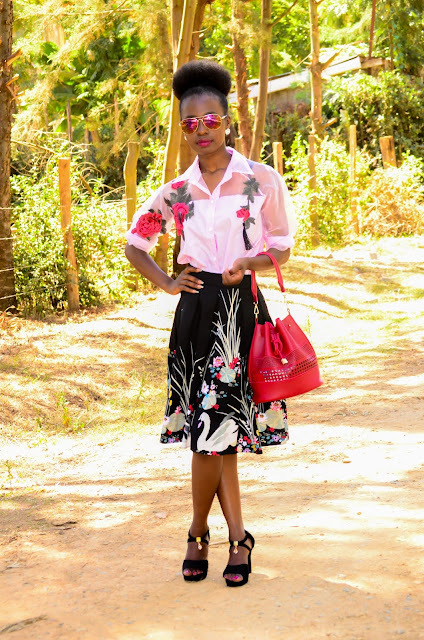 Love the florals! Que lindo look amei as imagens, obrigado pela visita. from your hair to the skirt, everything looks well put together. This is such a cute outfit! I love all the floral details...very unique! These pieces look like they were made for each other. Dying over that pretty skirt Sophie! Awareness is important ... for cancer but also for many other things! Such refined and original look, Sophie! 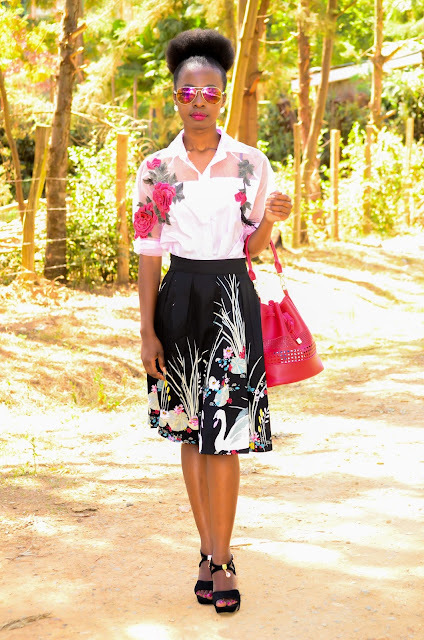 Love both, the skirt and the blouse, they look really great on you! This is such a pretty outfit Sophie you look beautiful. Such a fun look ! I love the embroideries details. Sophie! You look so beautiful in this outfit! I love it when an outfit idea comes together like it did for you for this outfit. The skirt is really pretty and the embroidered top and bag really complete the look! So cute I love the embroidery on the skirt! 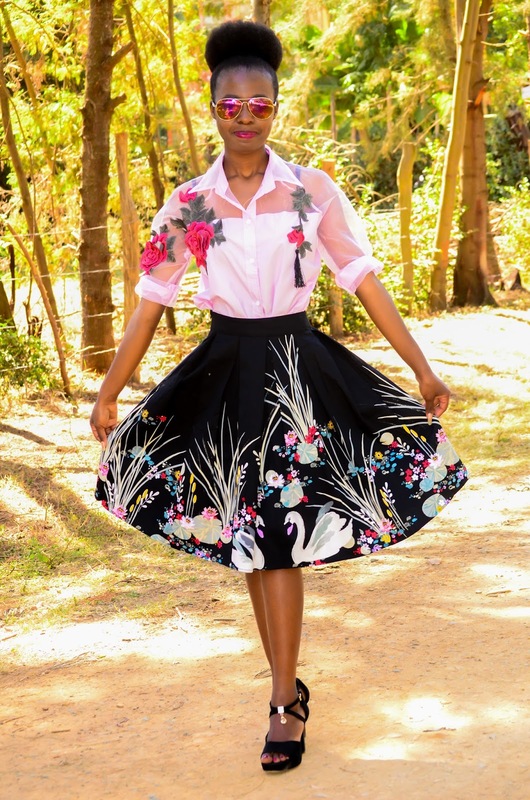 Love the cute floral details from your outfit dear, especially the skirt! Que bordado da blusa maravilhoso! Seu look ficou um show! I love how you paired this top and skirt together, it's so good! You always look so well put together and chic. I love your a-line dress. It looks like the most beautiful painting. 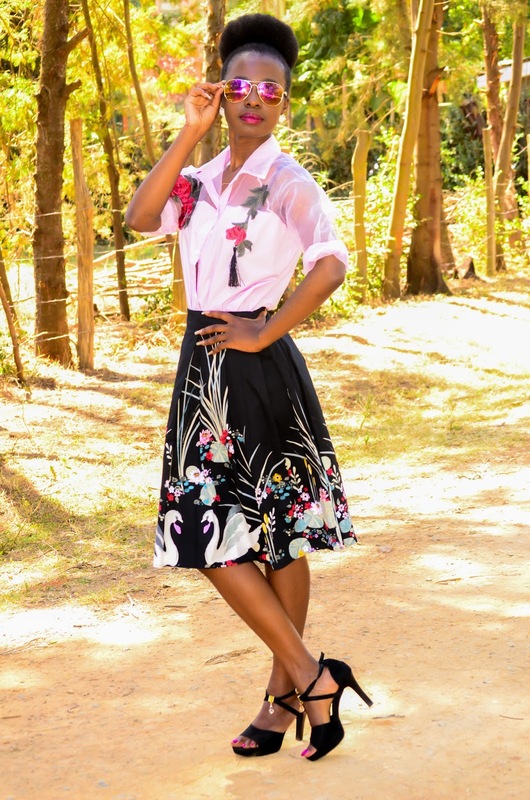 This skirt is just lovely on you! Hope you have a great week! 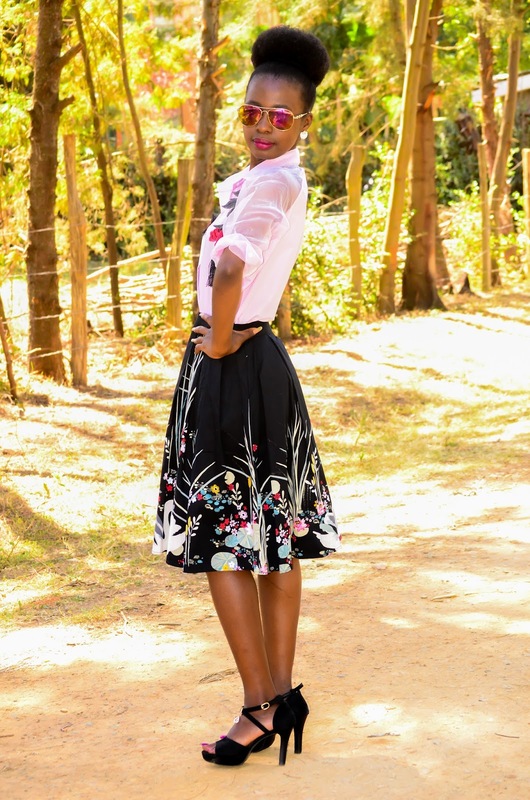 I have never worn a long skirt before but this post has definety given me some inspiration!